Barbara Humpton spent her three-decade career supporting a range of federal customers. She previously served in senior leadership roles at Lockheed Martin and Booz Allen Hamilton. 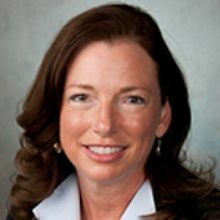 Humpton joined Siemens Government Technologies in October 2011 as senior vice president for business development, and in October 2015, was named SGT’s first chief operating officer. Not long after, she became SGT president and CEO, and in just two short years, led her team to double-digit growth. By leveraging a strong core business for federal customers through Energy Savings Performance Contracting, Humpton is expanding relationships and building new portfolios for Siemens with government customers in electric propulsion systems for the sea and air domains, and software solutions driving greater efficiencies in product lifecycle management across the uniformed services. “Now that our country is getting closer to energy independence, we must focus on becoming more energy secure and resilient,” Humpton told WashingtonExec last June.